The defensive line has been broken as Michael Le Bourgeois goes through the gap. Wasps are stopped just a few metres from the try line but Nathan Hughes picks up from the base of the ruck to score the try. Wasps decide to make a substitution, with Joe Simpson getting some game time. 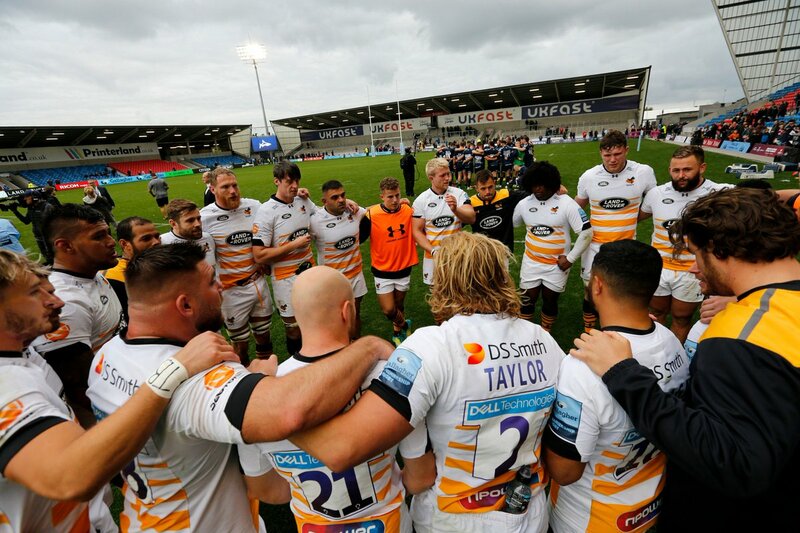 Wasps decide to make a substitution, with Dan Robson being replaced. Wasps make a substitution with Kearnan Myall coming on. Wasps make a substitution with James Gaskell coming off. What a tackle there by Ben Morris as he saves a certain try!. What a run here by Sam James as they gets over the gainline!. Alan MacGinty makes the break as the defence re-enacts the parting of the red sea. Michael Le Bourgeois has made 10 good tackles so far this game. Sale sub Josh Strauss comes onto the field. Fabulous play by Wasps has led to Elliot Daly being able to wriggle through a gap. Luke James comes on for Sale. 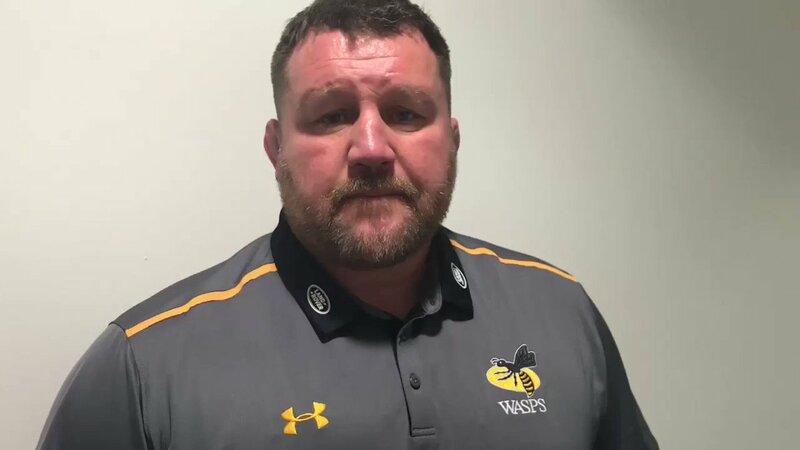 Wasps decide to make a substitution, with Will Stuart being replaced. Will Stuart scores the try from close range. Trouble here as Willie Le Roux breaches the defence. Ben Curry (Sale) is shown a yellow card. Sale make a substitution with James Phillips coming off. Sale sub Rob Webber comes onto the field. Cameron Neild departs for Sale. This is dangerous for the defence as Sam James bursts through to advance the Sale attack. Alan MacGinty makes no mistake with that penalty goal attempt. Nathan Hughes comes on for Wasps. Ben Morris leaves the field. Michael Le Bourgeois played a key part in that try. 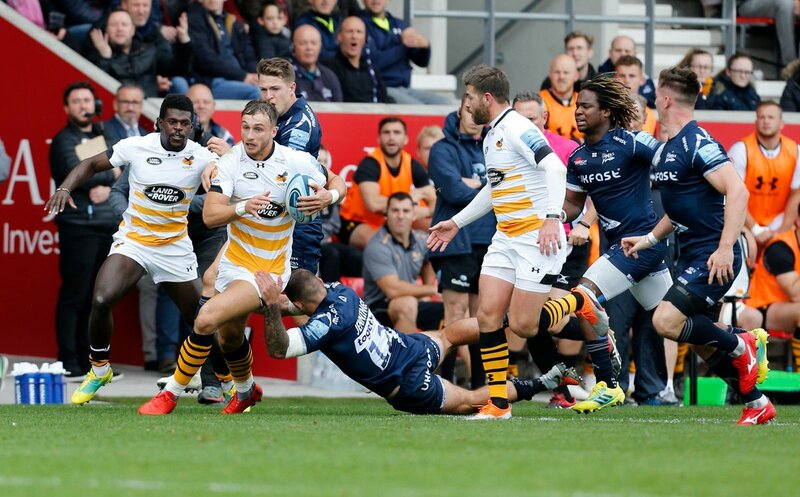 A series of passes by Wasps results in a try for Josh Bassett. That's a great try assist by Dan Robson. Great hands by Wasps leads to a try for Nizaam Carr. What a run here by Willie Le Roux as they gets over the gainline!. Fabulous play by Sale has led to Bryn Evans being able to wriggle through a gap. Trouble here as Marland Yarde breaches the defence. This is dangerous for the defence as Will Rowlands bursts through to advance the Wasps attack. A gap opened in the defence and Michael Le Bourgeois took full advantage. Will Cliff sets up the try. Sale are only a few metres out, surely they must score! And they do with Jonathan Ross touching down. The defensive line has been broken as Ben Curry goes through the gap. Nathan Hughes (Wasps) is shown a yellow card.